In a previous piece, AeroAnalysis had a look at the future demand profile from China to show why it is extremely unwise risking Boeing’s business in the trade war. 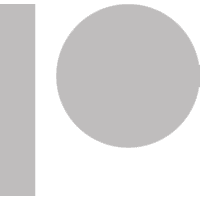 In this report, we want to have a look at why a fully erupted trade war with China would be problematic. This time we don’t want to do that from a demand point of view but more from a supply chain point of view. We view the supply chain as a thing that will be net-net positive in preventing a full trade war in which Boeing aircraft or parts are also subjected to tariffs. In the previous report, I already highlighted the importance of Chinese customers to Boeing’s business. 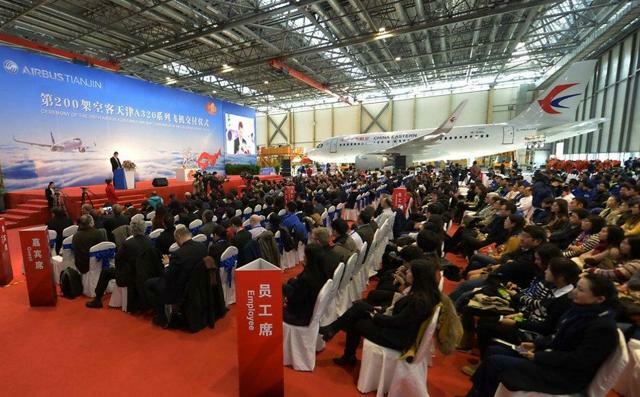 But it does not stop there; what’s very important to understand is that China does not only want to play a meaningful role as the country with the biggest buying power on the commercial aircraft market. Long term, the country has its own aspirations as well and established jet makers and that is where the country’s aspirations regarding aircraft and the buying power really come together. 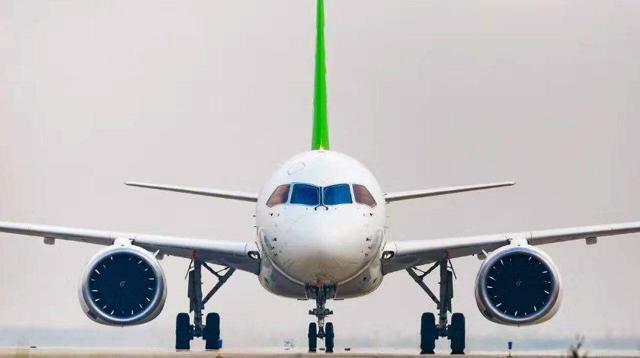 China eventually aspires to develop its own aircraft, and while it currently does not intend to significantly hurt Boeing and Airbus (OTCPK:EADSF), its long-term aspiration to become the 3rd player on the commercial aircraft market after Boeing and Airbus is clear. That aspiration has already resulted in 2 commercial aircraft products, namely the Comac ARJ21 Xianfeng and the Comac C919. The former is not an aircraft that is going to threaten Boeing or Airbus and should merely be considered as a first attempt from China to produce a new commercial jet. The Comac C919, however, if it were not incredibly late to the market, would have been an aircraft that could have taken significant market share from Boeing and Airbus. To Boeing and Airbus, China’s aspirations are clear and they have been very willing to hand China work in order to increase their chances to benefit from the growing demand for aircraft in the country. Jet maker Airbus has a final assembly line for the Airbus A320 family in Tianjin. The line in Tianjin opened in 2008 and has since produced over 350 aircraft. The line is an important part of Airbus’ A320 assembly network and it is expected that production will be raised to 5 aircraft per month in 2019 followed by a rate increase to 6 aircraft per month in 2020. The Aviation Industry of China or AVIC, which is state owned, is one of the partners of the plant. Via this final assembly line in China, China can actually build out its experience in producing aircraft and has learned part of the logistical system that is required to streamline production. In late 2016, Boeing and future competitor COMAC signed an agreement to open a Boeing 737 MAX completion and delivery center in Zhoushan. The center will focus on installing cabins and painting the aircraft and deliver the aircraft. It is the first Boeing completion center outside of the US. I think that reflects how much Boeing is willing to do to keep it chances to book orders from Chinese customers high. The center is set to open in late 2018 and will provide completion activities for deliveries in Asia. 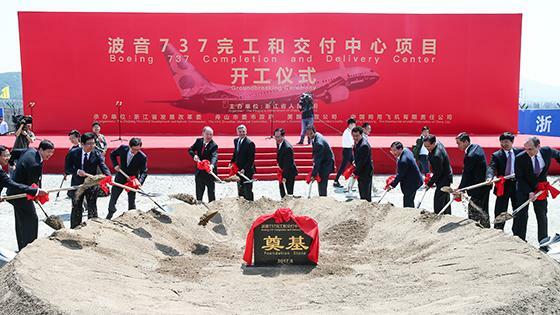 The opening of the completion center for the Boeing 737 MAX comes a year after Airbus opened a completion center for the Airbus A330 in Tianjin. It seems that Airbus at present is willing to go one step further than Boeing to secure orders and that could have implications if relations with the US remain strained. Boeing didn’t go as far as Airbus, which opened a final assembly line for the Airbus A320 and completion and delivery center for the Airbus A330 in China, but putting part of the work in China to win business is certainly what Boeing is doing as well. 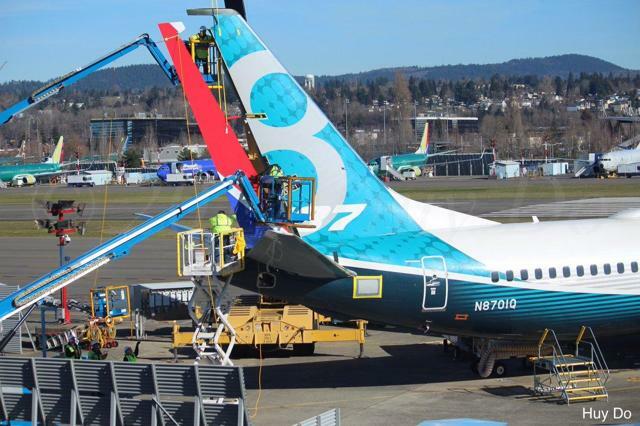 Looking at the suppliers for the Boeing 737 learns us that Boeing has awarded work to suppliers in China for aft fuselage sections, aircraft control surfaces, aircraft doors and flight deck panels. The most basic approach to Boeing and Airbus both having presence in China is to conclude that if the US is going to give China a hard time, China, which follows a state controlled ordering process for aircraft, will simply buy aircraft from Airbus. This only partially holds in my view. First of all, Airbus cannot simply up it production capacity to the levels that demand for air travel in China would require. Especially for single aisle aircraft this is the case; for widebody aircraft, there is a possibility that China would develop a slight preference for the Airbus A330 aircraft. Chinese airlines are already very familiar with the type and Airbus has a completion center for the Airbus A330 in China. But that is not the only way to view things. The completion centers that are opened and operated in China are building pieces for the Chinese government towards building a commercial aircraft industry in the country with its own single aisle and widebody aircraft program. If China were to decide from one day to the other to add Boeing aircraft to the list of items subject to tariffs, it would more or less be equivalent to stop buying aircraft from Boeing since most Chinese airlines are state owned. It does not make sense to apply tariffs to products and pay those tariffs via state owned airlines. Next to that, applying tariffs on Boeing jets will be a direct hit to the supply chain located in China. With China’s long-term target of competing with Boeing and Airbus in mind, hurting the country’s supply chain for commercial aircraft would not make sense. For Boeing, there could also be a lot of pain since part of the supply chain is positioned in China. In a fully erupted trade war, the products of those suppliers would be subject to tariffs as well, which could significantly disrupt the supply chain and increase costs in the supply chain. Additionally, one of the reasons for Boeing to open the completion and delivery center in China is to reduce the pressure on its facility in Renton. By eliminating or reducing some activities in Renton, Boeing can support higher final assembly rates at its facility and support demand. So also for Boeing, an eruption of the trade war would be a bad thing. There are a lot of ways to view things, but I think the main takeaway is that the US and China both are aware how hurtful a fully fledged trade war could be for businesses and entire industries in their countries. Next to losing viable access to the fastest growing market, Boeing would possibly lose access to relatively cheap parts and increasing production rates (if that still would be required) would be nearly impossible. For China, imposing tariffs on US made commercial jets would mean that its demand profile cannot be supported since Airbus simply cannot meet demand nor can China with its own C919 and the country would directly hurt the supply chain for commercial aircraft in the country and slow down its progress that should one day lead to a Chinese jet maker competing with the likes of Boeing and Airbus. In the previous report, we discussed the future demand profile and showed that for Boeing as well as for China barring access to commercial aircraft is unwise. In this report, we showed that also when considering the supply chain, there are all sorts of complications that would make dragging commercial aircraft into the trade war harmful. In the next and final piece, we will be looking at the importance of Chinese customers for Boeing’s deliveries, its financial results and what it could have done to Boeing’s share prices, but I think one thing is clear, the exposure of Boeing to China to grow its business and support its business is significant, placed strategically and too complicated to wind down without negative side effects.